Take on the field with the CYMA CM350 L Shotgun Spring Airsoft Gun. It is fed by a replica shotgun shell that loads 3 BBs into 3 separate barrels shooting at 300-330 FPS. The 3 barrel design is the best way to accurately shoot multiple BBs at the same time. The metal construction compliments the airsoft gun's reliability. 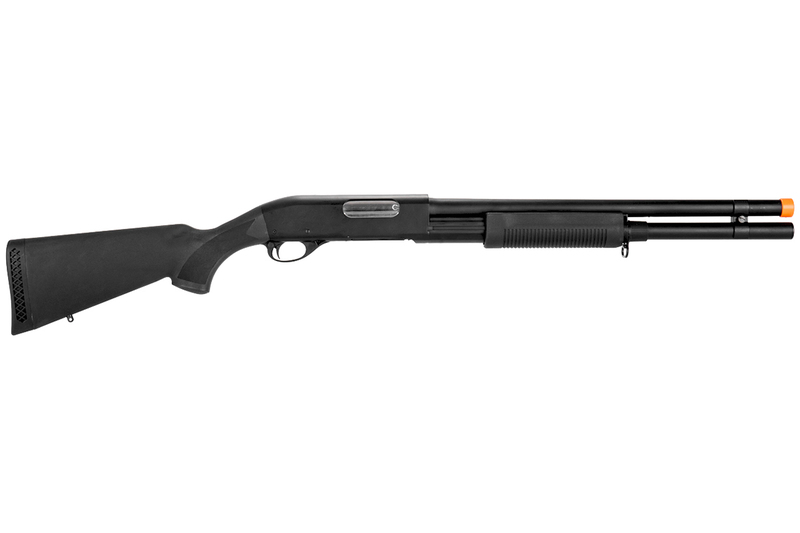 This shotgun features a durable plastic full stock design which assists the shooter with consistent aim. Look no further for a perfect addition for your airsoft collection with the CYMA CM350 L Shotgun Spring Airsoft Gun.